Richard Wilson, of Ballinamore, Co. Leitrim has scooped two awards in Ireland’s best young Entrepreneur awards. 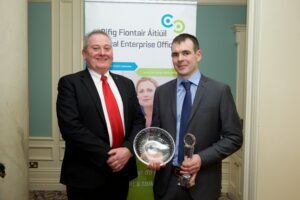 Richard, who has been in business for four years and is a main Farmhand Dealer won, ‘best established business and best young entrepreneur’ trophies in the county. 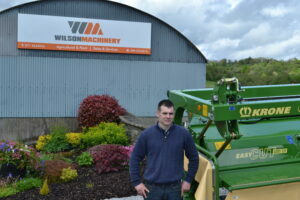 “We are absolutely delighted to win these awards, it is a great achievement for Wilson Machinery” said Richard. 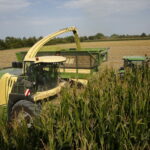 The Leitrim man deals in second hand tractors as well as having the main dealer agency for Krone, Amazone, Quicke, Conor and Trioliet. His business has grown quickly over the last four years as he has built up a reputation for good product knowledge and service back up. “We are looking forward to building on this success and continuing to serve our valued customers” said Richard.